Three of the leading health issues in the United States are heart disease, depression and diabetes. Every year, trillions are spent to treat these diseases. According to the CDC, heart disease alone costs the USA nearly $1 billion per day in medical costs and lost productivity. The irony is that many of these conditions could be treated much more safely and affordably with flax seeds, along with a diet full of whole foods and exercise. Heart disease occurs when blood vessels are blocked or narrowed. The result can be heart attack, stroke or angina. Other problems, such as problems affecting the muscles in the heart, are also considered heart disease. As the American Heart Association says, many cases of heart disease are caused by plaque buildup in the arteries. The reason that flax seed is so powerful against heart disease is because it contains a type of fatty acid called alpha-linolenic acid (ALA). As the University of Maryland Medical Center (UMM) points out, people who eat foods rich in ALA are less likely to get a heart attack. There are numerous ways that flax seed may be helpful for heart disease, such as by reducing hypertension, reducing inflammation, promoting blood vessel health, and making platelets less sticky. There is no shortage of studies (such as the ones listed here) that suggest low levels of Omega 3 fatty acids can lead to depression, and that supplementing with Omega 3 can improve mood, depression and anxiety. And guess what is a good source of Omega 3? Yes, flax seeds! The mental health benefits of flax don’t stop there. Flax seeds are also rich in vitamin B6. As UMM points out here, your body needs B6 to make serotonin, which in turn is used to regulate mood. Some researchers, like the ones behind this study, believe that low levels of B6 might even cause depression. Flax seeds are a good source of B6, so go ahead and add them to your breakfast cereals or smoothies. Type-2 diabetes is a disorder in which people have trouble metabolizing glucose. Normally, the body produces insulin to help turn glucose from food into energy. People with type-2 diabetes are able to produce insulin; their bodies just aren’t able to use the insulin effectively. To prevent dangerous spikes in their blood sugar, people with diabetes need to be very careful about how much sugar they consume. One solution for keeping blood sugar levels in check may be flax seed. As Dr. Michael Gregor talks about here, a study found that taking ground flax seed every day for a month had a positive effect on blood sugar levels in diabetics and even reduced insulin resistance. Flax seeds are also rich in fiber, which helps slow down digestion (keeps blood sugar from spiking) and can improve type-2 diabetes. This article talks more about natural ways to prevent diabetes. Of course, simply adding flax seeds to an otherwise-bad diet isn’t going to magically cure you of disease. 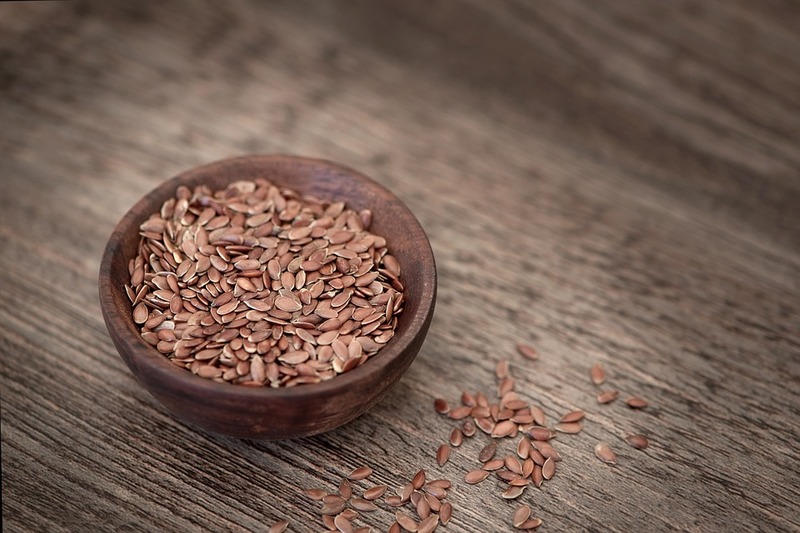 However, in addition to a healthy diet with many plant-based whole foods, flax seeds can help you prevent and fight off all of these common health conditions. In this way, flax seeds really are the all-purpose “duct tape” of health! Do you eat flax seeds or use flax seed oil? What’s your favorite way to consume them?